Verified Supplier - Xuzhou Shenfu International Trade Co., Ltd. Verified Supplier - Shandong Landworld Commercial Co., Ltd. Verified Supplier - Jining VOTE Machinery Technology Co., Ltd. Verified Supplier - Shandong Haohong Machinery Manufacturing Co., Ltd. Verified Supplier - Linyi Bethwall International Co., Ltd. Verified Supplier - Shandong Kenstone Heavy Machinery Co., Ltd. Verified Supplier - Shandong Baisway Machinery Co., Ltd. Verified Supplier - Shandong Loongsheen Import & Export Co., Ltd. Verified Supplier - Jining China Machinery Co., Ltd. Verified Supplier - Jinan Shunyin Machinery Co., Ltd. Verified Supplier - Qingzhou Changhui International Trade Co., Ltd. Verified Supplier - Nivo Machinery (Jingjiang) Co., Ltd. Verified Supplier - Taian Leeheey Machinery Co., Ltd. Verified Supplier - Shandong Dingyuan Machinery Co., Ltd. Verified Supplier - Ningbo ACE Machinery Co., Ltd. Verified Supplier - Shandong Rhinoceros Engineering Machinery Co., Ltd. 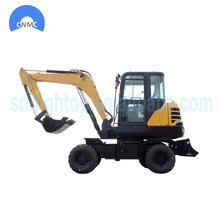 Verified Supplier - Jining Shanshi Construction Machinery Co., Ltd. Verified Supplier - Liuzhou Leiyao Trading Co., Ltd. Verified Supplier - Beijing Polar Rich Mechanical Tech Co., Ltd. Verified Supplier - Jining Nicosail Machinery Co., Ltd. Verified Supplier - Jining Dongyuan Machinery Manufacturing Co., Ltd.
Want product and industry knowledge for "bucket exc..." ? 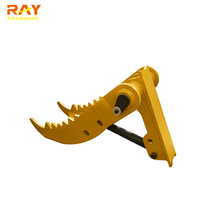 Do you want to show bucket excavato... or other products of your own company? Display your Products FREE now!